Do You Want a 43% Pay Raise? How would you like your employer to increase your compensation package by 43 percent? 1. Become the President of the University of Pennsylvania. That’s exactly what Amy Gutmann did. 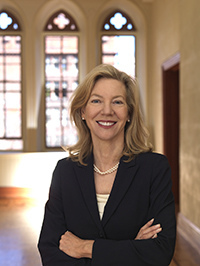 The University of Pennsylvania increased Gutmann’s compensation package from $1,462,742 in 2010 to $2,091,764 in 2011, according to a recent report in The Daily Pennsylvanian. The report is based on the University’s most recent tax filing. Gutmann’s 2011 compensation package marks more than a 170 percent increase since 2005, the year Gutmann became President. Let’s put Gutmann’s compensation into perspective. For whatever reasons the Penn Board did not believe that being ranked 12th in presidential compensation was good enough. Penn needed to be ranked among the top 10. There’s only one problem with the headlines: There never was a $250 million “gift” to Centre College! 1. Do NOT mislead the public. The historic gift was a contingent pledge based on a complex recapitalization deal going through. Regrettably, the financial deal blew up and, therefore, the gift never materialized, according to the College. If the College had simply delayed announcing the gift until it actually materialized, it could have avoided enormous embarrassment. Alternatively, if the College had simply characterized the $250 million as a “pledge” or “potential gift” rather than a “gift,” it still could have avoided significant embarrassment. 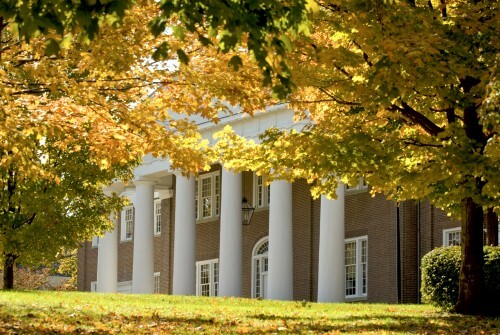 Centre College had a contingent pledge for a $250 million gift. They never had the gift. It’s not a gift until you have the cash, stock, property, or irrevocable gift agreement in-hand. Because the College never had a $250 million gift, it did not lose $250 million. That’s about the best that can be said of this situation. This is really just a case of a nonprofit organization publicly counting its chickens before they hatched. Don’t make the same mistake. Approximately 2.7 billion people around the world live in poverty. Despite the fact that the global economy has grown 17-fold over the past six decades, about three of every eight people in the world exist on $2 per day or less. The United Nations has not solved the problem of global poverty. Foreign aid from wealthy governments has not solved the problem. Charities have not solved the problem. Certainly, millions of people have been helped by traditional assistance efforts. However, a new book suggests that traditional methods and institutions, while not completely useless, have achieved only modest results, at best. And, in some cases, those results have not always been positive or sustainable. Mal Warwick, the legendary direct-response fundraising expert and entrepreneur, and Paul Polak, a leading social entrepreneur, have written the new book The Business Solution to Poverty, to be released on September 9, 2013. In their book, the authors define the nature of poverty. They review what has been done, citing what has worked and what has not. When reviewing what has worked, they also point out the huge limitations of the positive results achieved by traditional institutions using traditional methods. Finally, the authors outline their ideas for dramatically reducing global poverty and the suffering of billions of people. As citizens of the world and as nonprofit professionals, we should all pay particular attention to what Polak and Warwick suggest. If you’re interested in learning more about the book, you can visit the authors’ website. To get a copy of the book and help ensure a successful book launch, you can purchase your copy at The Nonprofit Bookstore, powered by Amazon, on Monday, September 9, the day it is released. One of the assertions that the authors make in the book is: “Only Business Can End Poverty.” It’s a thought that many, particularly those in the charity sector, will find provocative. After all, the authors are critical of the nonprofit sector. Poor people themselves tell us that the main reason they are poor is that they don’t have enough money. We agree with them. At first blush, this seems simple and obvious, but conventional approaches seem to focus on everything but helping poor people improve their livelihoods as the most important first step to ending poverty. The most obvious, direct, and effective way to combat poverty is to enable poor people to earn more money. However, instead of this obvious approach, efforts to eradicate poverty have tried just about everything else. More than five million citizen-based organizations around the world have joined official and multilateral efforts to combat poverty. The biggest, typically called INGOs (international nongovernmental organizations), work in scores of countries, often have operating budgets upward of $500 million, and sometimes possess widely recognizable brands. Among the most powerful few are World Vision, CARE, Save the Children, and Catholic Relief Services (all based in the United States); Oxfam (UK); Médecins sans Frontiéres (Doctors without Borders, France); and BRAC (Bangladesh). At the other end of the spectrum are organizations at the village or community level typically referred to as community-based organizations, or CBOs. They number in the millions and normally operate without paid staff and with little or no money.